"Before giving advice to someone to leave from somewhere, the United States needs to implement its own concept of pulling out, in particular, from Syria […] A month has passed […] I would like them to clarify whether they have withdrawn or not? Before taking charge of the legitimate interests of other states, I would advise the US administration fulfil the promises made to the international community", Zakharova said. The United States foments global disorder with its "chaotic and unpredictable steps" the spokeswoman noted. 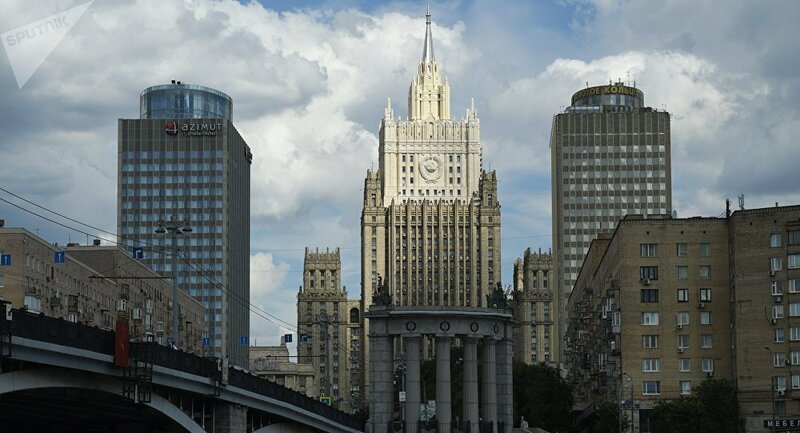 Zakharova also said that Western states are being hypocritical when they claim that Venezuela is in need of humanitarian aid, but nevertheless are freezing Caracas’ bank accounts worldwide. "London, the world's banking structures, under pressure from Washington, have frozen, stolen $30 billion, and now they are offering their humanitarian aid, medicines, food on the dime belonging to this state. And this global hypocrisy is fantastic", Zakharova told the Channel One broadcaster on Wednesday. Venezuela is currently going through a political crisis that started in January, when lawmaker Juan Guaido was elected the head of the opposition-led National Assembly, whose authority has not been recognised by the other branches of government since 2016. Soon after the Venezuelan Supreme Court annulled his designation, Guaido then proclaimed himself the "interim president" of Venezuela. Legitimate Venezuelan President Nicolas Maduro, who was sworn in for his second presidential term on 10 January, called Guaido's move an attempt to stage a coup orchestrated by Washington. On 23 February, the Venezuelan opposition tried to force US-sponsored aid into Venezuela through its borders with Colombia and Brazil, both of which support the opposition. 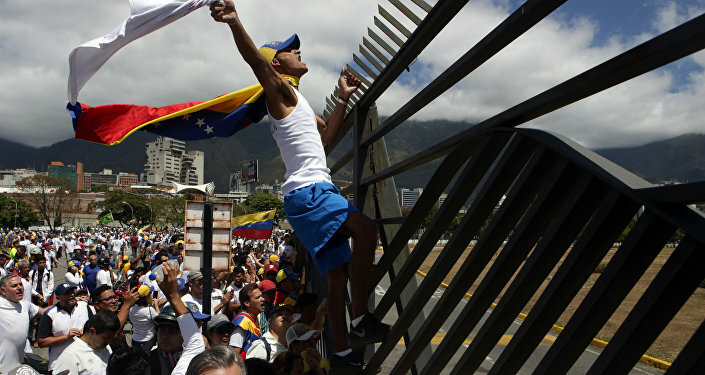 The failed attempt sparked clashes between Venezuelan security officers and pro-aid protesters. Constitutionally elected Maduro denounced the unauthorised aid delivery as part of Washington's attempts to intervene in Venezuela and oust him from power. On Saturday, a group of Russian military personnel arrived in the Venezuelan capital of Caracas to take part in consultations with the country's officials on defence industry cooperation. According to media reports, some 100 Russian military staff arrived in Caracas on board two planes that also delivered 35 tonnes of cargo. Trump said at a meeting in the White House earlier on Wednesday that "Russia has to get out" of Venezuela. When asked how it may be done, he added that "all options are open". US troops, meanwhile, have been operating in Syria as part of an international coalition to fight the Daesh terrorist group for about five years without the permission of either Damascus or the UN Security Council. Trump surprised his allies in December by announcing a withdrawal of 2,000 troops from Syria. * Daesh (also known as ISIS/ISIL/Islamic State/IS) is a terrorist group banned in Russia and many other countries.